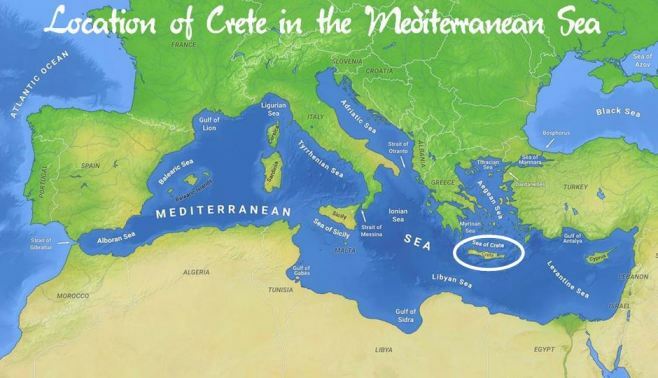 Looking for a map of Crete? Looking forward to pouring over the map, tracing the curve of the land with your finger tip, trying to pronounce all the new names, familiarising yourself with the capitals, the mountains and seas, ahh, the explorer needs a good map to start a journey! We like the Anavasi maps and found them very useful for general touring. 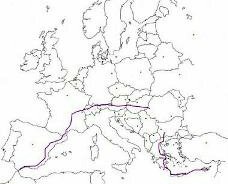 The E4 European walking path Cretan section starts in Kastelli-Kissamos and tracks 320 km through some of the most beautiful countryside in Kriti to finally end at Kato Zakros in the east. The trail is not always marked, it has some yellow and black E4 markers along the way. It is always good to check with the locals before starting any hike or walk in Kriti. Walkers will choose the 1:25,000 Anavasi maps to detail this countryside, which are featured above. 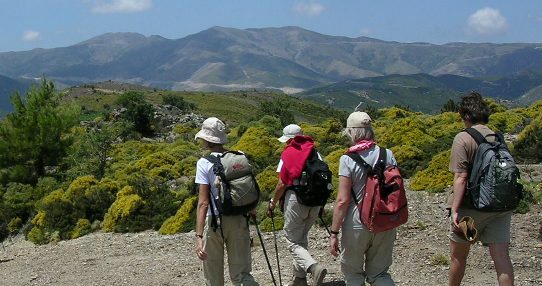 An invaluable accompaniment to walking this trail is The High Mountains of Crete by Lorraine Wilson. This book is available online and featured above. Looking for an itinerary in the west of Crete? Do you prefer to explore the East of the island? We have put together the best of those regions into a five day trip for independent travellers...Taking some time and a car will mean you can explore the ruggedly beautiful interior of the island of Crete as well as visit some exquisite beaches. Everyone knows Crete as a beach destination, and that an average of 300 days of sunshine a year means more chances of bliss on the sand. As an independent visitor, who wants to do more than just lie on the beach, it can be difficult to plan a great route without knowledge of the island. 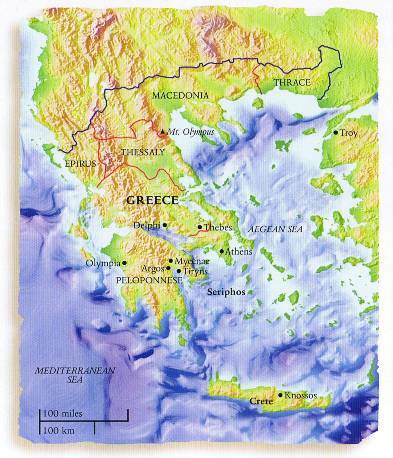 A good place to find a wide range of excellent maps is Taxidiotiko Bibliopolio ~ Travel Bookstore on Chandakos 29 in Heraklion (just walk down between the trees from the Liondaria). You can find road maps, walking maps and hiking maps with good detail. Here is also a good map of Heraklion town.